One of the most well-established Saint Lucia hotels, the St Lucian is located within its own landscaped gardens on the Reduit Beach on St Lucia. One of the most well-established Saint Lucia hotels, the St Lucian is located within its own landscaped gardens on the Reduit Beach on St Lucia. An ideal choice of hotel for anyone who likes lazy days on the beach – and who doesn’t – in addition to a wide range of water sports in the calm blue waters of the Caribbean Sea, the St Lucian is one of many hotels St Lucia that caters for particularly active guests, with two outdoor pools, tennis courts and a fully equipped gymnasium at the adjacent Royal by Rex resorts. If one of your dream St Lucia holidays is to enjoy some pampering and retail therapy then this is top of the list of the Saint Lucia hotels that you should consider. The hotel has a shopping arcade all of its own, allowing you to pick up a few gifts for loved ones. You can slow down to a stroll and slip into the Royal Spa. This is the perfect place to enjoy a wide range of treatments and therapies within the elegant surroundings of the adjacent rex resort, the Royal. The resort offers shuffle board, all-weather tennis courts, a selection of entertainment, a fully equipped gymnasium and a shopping arcade. Windsurfing, sunfish sailing and snorkeling are available, as well as scuba diving and deep sea fishing (available at charge). Resort has an outdoor freshwater swimming pool. 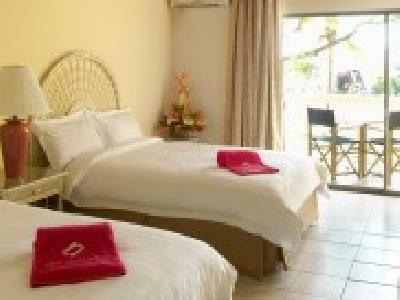 One King or two Double beds with beachfront location. 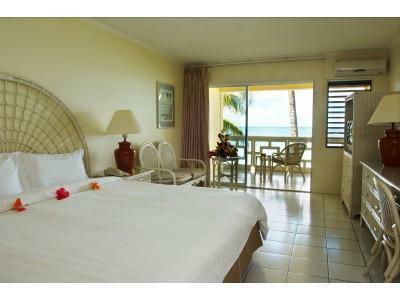 One King or two Double beds with sea view. One King or two Double beds with a full pool view. One King or two Double Beds. Garden and partial pool view. For refreshing drinks on the beach and the perfect place to watch the sun go down. A café located in the Shopping Plaza, offering light refreshments throughout the day and evening. 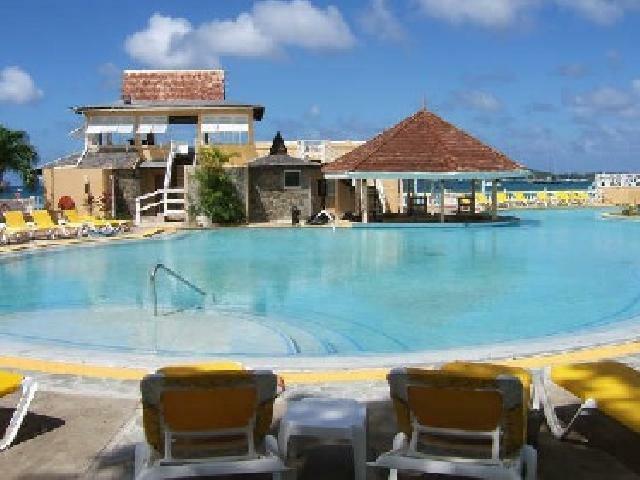 A friendly and informal buffet-style restaurant and bar, overlooking beautiful Reduit Beach.